WillNOT fit LS cars. The pulley shaft and/or belt offset is not correct. Power Steering Pump Pulley. 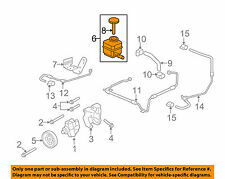 Fits GM LS series truck and SUV's (4.8L, 5.3L, 6.0L). New spoke design to allow access to power steering pump bolts while installed. 1975-76 PONTIAC FIREBIRD TA NOS POWER STEERING PUMP GM# 7816016. PONTIAC FIREBIRD TA TRANS AM SD SUPER DUTY RAM IV H.O. 455 FORMULA TEMPEST T37 GT37 GTO BONNEVILLE. 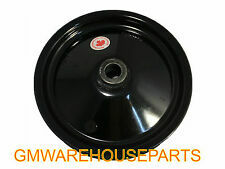 ALL F BODY V8 POWER STEERING PUMP 400 455 1975 1976 1977 1978 1979 1980. 2006-2011 Chevrolet HHR. 2007-2010 Pontiac G5. 2005-2010 Pontiac Pursuit. 2005-2010 Chevrolet Cobalt. 2003-2007 Saturn Ion. 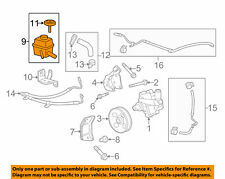 New GM parts – no imitations. 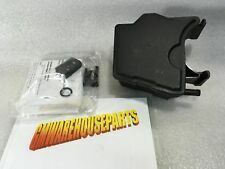 GENUINE GM 1998-2002 CAMARO FIREBIRD POWER STEERING RESERVOIR WITH LS1 ENGINE. (CAP NOT INCLUDED). 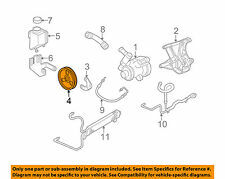 NEW GM OEM PART NUMBER 26068934. 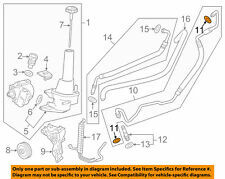 Saginaw Power Steering Pump Reservoir Cover Only. 1955-1972 GM Cars/Trucks w/ SBC and Small Water Pump. Replace Only the Reservoir Instead of the Entire Pump. 1970-1974 Chevy Camaro, Pontiac Firebird, Chevy Nova, Chevy Chevelle, Chevy Malibu, Chevy Monte Carlo. 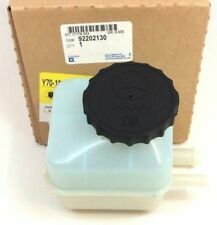 $CNW887 04 - 08 CHEVROLET AVEO / AVEO5 1.6L (1598cc) DOHC L4 16V, VIN CODE "6""E-TEC II" BRAND NEW GENUINE POWER STEERING PUMP RESERVOIR TANK 04-08 CHEVROLET AVEO 1.6L DOHC L4 16V, VIN CODE "6""E-TEC II" 07-08 CHEVROLET AVEO5 1.6L DOHC L4 16V, VIN CODE "6""E-TEC II" 1 GENUINE POWER STEERING PUMP RESERVOIR TANK Country of Manufacture : South Korea Genuine Parts Product. 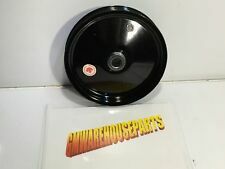 Description This is a Genuine GM power steering pulley for your 2005-2013 Chevrolet C6 Corvette with LS2, LS3 or LS7 engine. Application 2005 2006 2007 2008 2009 2010 2011 2012 2013 C6 Corvette with LS2, LS3 or LS7 engine. 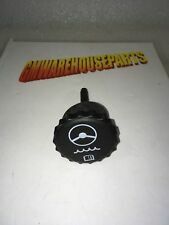 Description This is a Genuine GM power steering fluid reservoir cap for your 2006-2010 Hummer H3 H3T with 3.5L or 3.7L engine. Application 2006 2007 2008 2009 2010 Hummer H3 H3T with 3.5L or 3.7L engine. 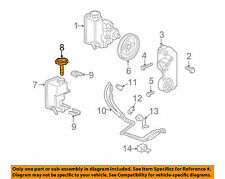 You are purchasing the following GM Power Steering Pump Cadillac-Olds-Eldorado-LeSabre 88955485 OEM. 8 Cyl 4.6L. 8 Cyl 4.0L. 4 DOOR, DEVILLE, HIGH LUXURY, SEVILLE, SLS, STS, TOURING 4 DOOR. Part Number: 26014395. 1988-1991 Buick LeSabre 3.8L. 1988-1990 Buick Electra 3.8L. 1988-1991 Pontiac Bonneville 3.8L. 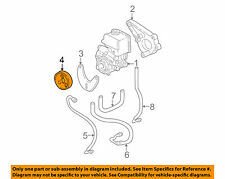 1990-1991 Buick Regal 3.8L. Conditions: New. 1991-1991 Buick Park Avenue 3.8L. Cadillac SRX. 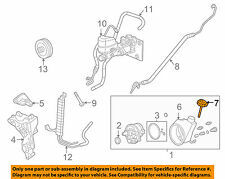 2004-2009 6 Cyl 3.6L, 8 Cyl 4.6L 4 DOOR, 4 DOOR(RHD), SRX, V8 4 DOOR. Cadillac STS.